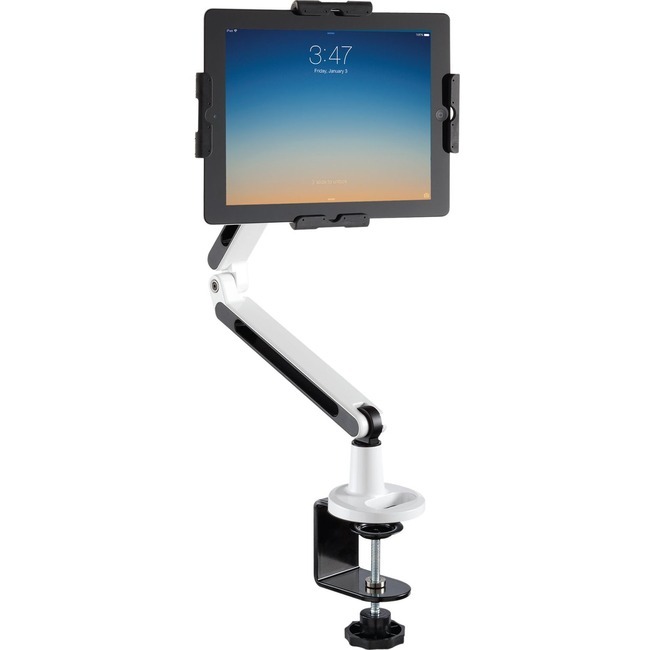 Keep your iPad® or other mobile tablet accessible and secure with the new PadDock™ Pivot Dual Arm Locking Tablet Stand. Designed to secure and hold most 9" to 11" mobile tablets, the locking tablet cradle rotates 360° for viewing in any orientation. Enabling the use of tablets in educational, medical and business environments, Pivot's adjustable arm positions mobile tablets precisely, while unobtrusively helping keep it safe from theft. Pivot's special locking C-clamp desk mount is suitable for desktops, countertops and other surfaces 0.8" to 2.3" thick and allows you to lock it without holes, cables or adhesives.